A rousing call to action for those who would be citizens of the world—online and off. In an age of connection supercharged by the Internet, we often assume that more people online means a smaller, more cosmopolitan world. In reality, it is easier to ship bottles of water from Fiji to Atlanta than it is to get news from Tokyo to New York. 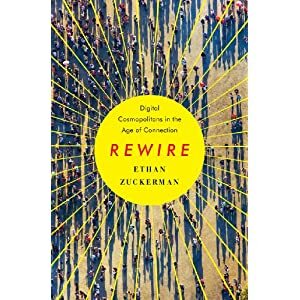 In Rewire media expert Ethan Zuckerman draws on contemporary research in psychology, sociology, and his own work on how humans “flock together” to explain why the technological ability to reach someone does not inevitably lead to increased human connection. For those who seek a wider picture—a picture now critical for global success—Zuckerman highlights the challenges, and the headway already made, by attempts to bridge cultures through translation, cross-cultural inspiration, and the search for new, serendipitous experience. Rich with Zuckerman’s personal experience and wisdom, Rewire offers a map of the social, technical, and policy innovations needed to more tightly connect the world.